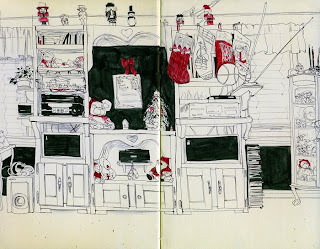 I had some time today to do a sketch of my folks' living room. My mom is a master decorator so I tried to capture all the detail she puts into the house. I hope it does her work justice. congrats on the triple-threat there! will you also be submitting to the student competition this year? sweet! I wouldn't have noticed if it weren't for this amazing drawing of yours. 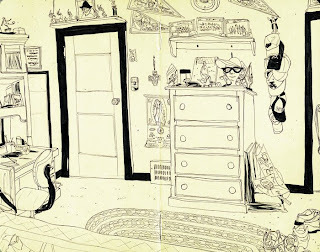 may i ask wat kind of pen was used in this sketch/?? ?